It’s a great anecdote, but it isn’t, in fact, a great example of the art of successful negotiation. That’s because all sides need to feel like winners in a good negotiation. In most companies and organizations today, it is the human resources professionals who must be most adept at helping people compromise and come to some agreement through the process of negotiation. 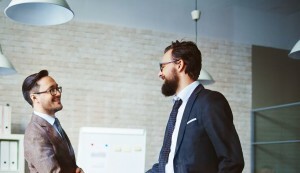 Each problem that reaches the negotiating table may be unique, and each situation may be vital, but the essence of solving any workplace conflict is always the same: a negotiation is only successful when all parties involved reach an agreement without setting up barriers that will further hinder their communication down the road. Such a solution is accomplished by examining all issues through the lenses of fairness, mutual benefit, and maintaining the relationships between the conflicting parties. and both parties need to walk away feeling good about themselves and carrying no ill will toward the other person. 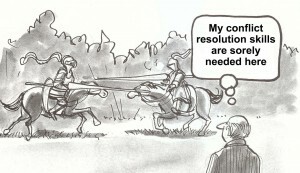 When dealing with workplace conflict, two underlying issues are often present. The first is that one or more of the parties involved may be using the negotiation as a means to advance their own personal career agenda. They may not be seeking a fair compromise; they may rather want only to drive their opponent(s) into the ground. The second conflict may come from the person with the highest degree of authority involved in the negotiation, and the conflict may arise when this person grows resentful of the idea that they have to compromise at all. Many bosses still believe that “because I said so” constitutes a valid response to employee concerns and effectively ends all discussion. 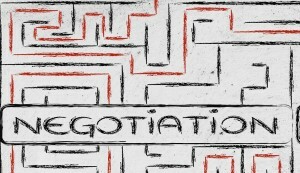 Anyone entering the negotiating process — especially the HR professionals who often facilitate these processes — should be aware of the possible existence of these additional challenges. When they do arise, they must be dealt with tactfully — especially if a boss or manager is refusing to compromise. 1. Subtly mimic the head and hand movements of the person with whom you are negotiating. According to research conducted at INSEAD’s French campus, doing so is a powerful means of persuasion. But don’t be too obvious with your mimicry, or it will backfire, and your negotiating partner may just think you’re weird. 2. Frame the issue in a way that is advantageous to you, and present it to your negotiating partner accordingly. When you take negative approach (e.g., “I don’t want X,”), you make it less likely for your partner to change their mind or agree with you. Instead, when you explain your stance positively (e.g., “Here is why I want Y; here is how it will benefit us all,”), you make it far more likely that your partner will end up agreeing with you. 3. Don’t overload your opponent with arguments. Instead, stick to one or two decisive points. Research from Ohio State University and The Autonomous University of Madrid in Spain found that summoning every possible argument in your favor is no more effective than selecting one or two arguments and sticking with them. Select the arguments that are closest to your negotiating partner’s point of view and use them to move your partner slowly and inexorably toward your side.